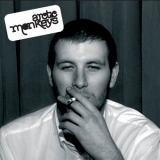 Whatever People Say I Am, That's What I'm Not is ranked as the best album by Arctic Monkeys. Members who like this album also like: Is This It by The Strokes, Funeral by Arcade Fire and In Rainbows by Radiohead. Related links: top tracks by Arctic Monkeystop tracks of the 2000s, top tracks of 2006. Showing latest 5 ratings for this album. | Show all 1,914 ratings for this album. Top Tracks: "I Bet You Look Good on the Dancefloor", "Mardy Bum", "A Certain Romance"
Almost perfect, I can't put my finger on it. That X factor is just missing for me, very good album regardless. Sheffield's answer to Robert Zimmerman comes over all poetic following 12 pints of Hoffmeister on a Saturday night. Their best album. It's my favourite album from them. Such a great album.